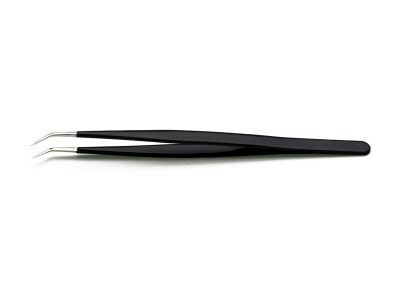 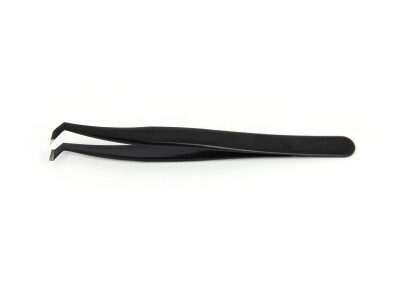 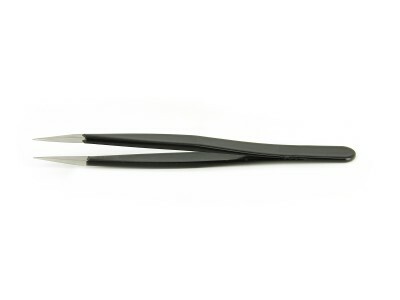 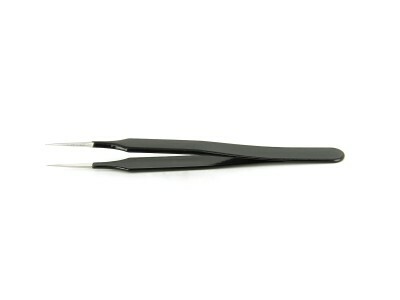 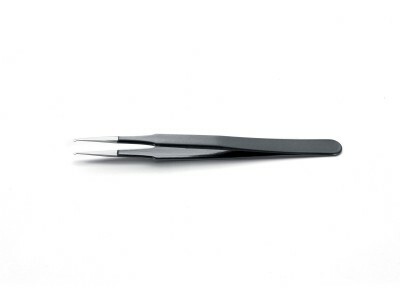 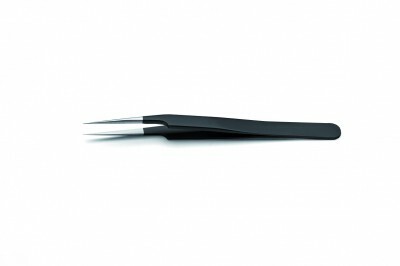 Ideal-tek Anti-Magnetic Stainless steel or Carbon precision tweezers feature a black ESD-safe Epoxy coating (resistivity 10^5-10^6 Ohm tested up to 120°C) to provide enhanced operator comfort and impact resistance. 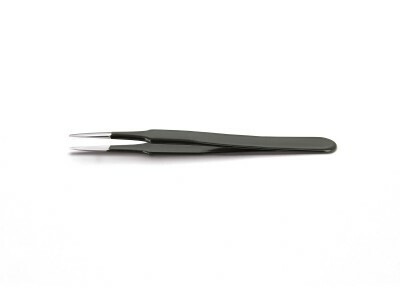 Moreover, the elastic Epoxy Coating offers good resistance to the majority of diluted acids and alkalis found in Life Science&Microscopy work. With their superior precision cutting edges in High Grade Carbon Steel, epoxy tweezers are covered with an ESD-safe coating able to inhibit oxidation and extend the overall tool life. The slim and tapered design makes them ideal to work in narrow spaces and for applications including cutting soft wires in copper, gold, silver or similar, magnetic wires and hard hairsprings. 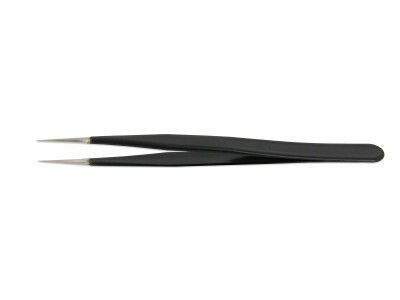 Easy to clean and maintain, Ideal-tek ESD cutting tweezers are offered in a variety of styles (including angled blades, predominantly angled blades and parallel blades) to cover a wide range of requirements and applications in Life Science&Microscopy work. 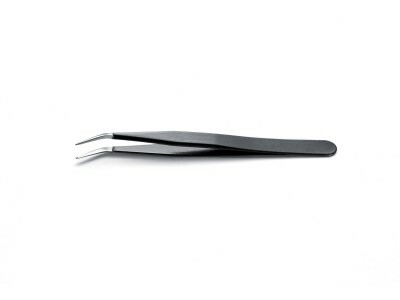 Kit of 4 tweezers - Epoxy: 2A, 3C, 7A, AA. 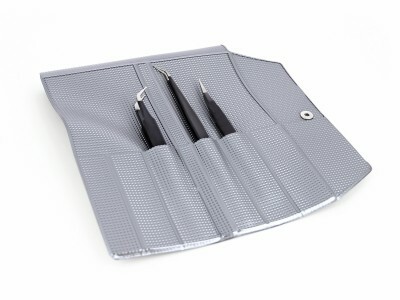 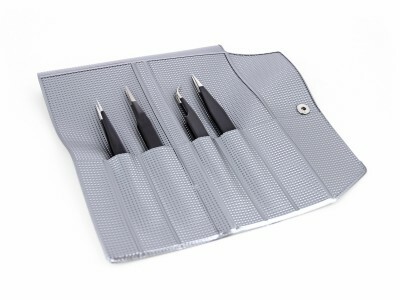 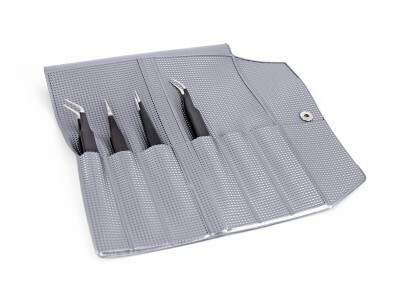 Kit of 5 tweezers - Epoxy: SM103, SM108, 3, 5, 7A. 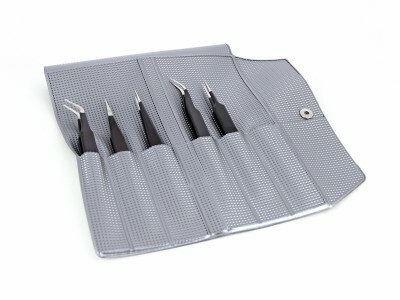 Kit of 6 tweezers - Epoxy: SM103, SM108, 5, 7A, 3C, 3.